If you've been growing a wine collection for a while it may be time to move up to a larger, better quality wine cooler. Avanti offers several options for large and small collections that are regarded as being high quality. They have a huge range of options from wine coolers that hold fewer than 20 bottles to much larger fridges. Avanti Wine Coolers also come in single and dual zone options. Whether this is your first wine cooler or your fourth, if you're in the beginning of your search or a pro, our comprehensive review of Avanti products will give you a good idea of whether or not they are the right brand for you. 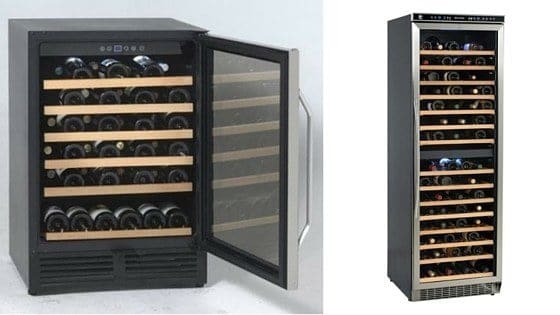 We looked at five different freestanding wine coolers of various capacities, single and dual zone temperature models to offer an excellent snapshot of Avanti and its offerings. This summary chart displays five Avanti wine refrigerators with the goal of highlighting popular details and sought after specifications in a variety of coolers. Below the chart there is more detailed information about Avanti Wine Coolers. So what are these features that people look for? Do they matter? What should someone new to wine look for versus someone with a significant collection? 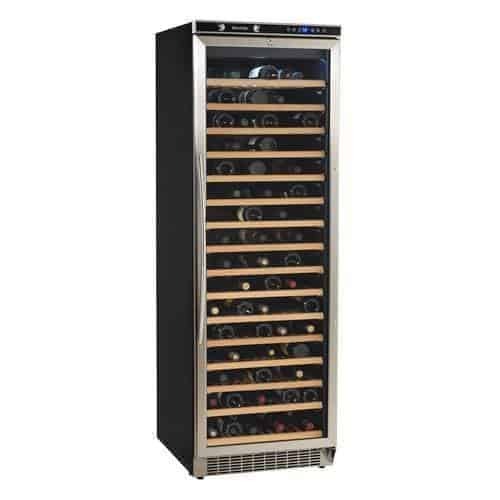 The bottle capacity listed is the number of standard wine bottles a unit is built to hold. You might be able to squeeze more in but it's not a good idea - it can disrupt the temperature or, worse yet, pop the door open. Many models have removable shelves so allowing special sized bottles to fit . Larger bottles should be counted as two for the purposes of planning the space you have for your wine collection. Quick Tip: Wine coolers come in a variety of sizes - to maximize your investment we recommend buying a cooler that is strictly for wine bottles (why waste space for things like soda that can go in the fridge?) and based on your habits. If you are building a collection, you want a fridge that holds at least 30 bottles. If you drink your wine quickly and have no desire to collect, go for a smaller, high quality cooler. Having one that is too big will not be economical because you'll be cooling empty space. Having one that is too small will result in your having to purchase another. Track your consumption and collection and use that to help you decide. If you are in the industry you'll want to go bigger - especially if you're regularly supplied with samples. Also, once people know you have a wine fridge you'll find that you're given more bottles. HOW wine coolers cool wine matters. There are thermoelectric and compression coolers. Avanti wine coolers have both options so be sure to understand which you need before investing. Quick Tip: While thermoelectric may sound like a better option due to the low amount of noise, you'll want to think that through if you're considering growing a collection. Thermoelectric wine coolers are great for small amounts of wine that isn't stored for too long, isn't in a warm climate, and is generally red. Whites need to be stored at a much cooler temperature that most thermoelectric coolers just can't handle. And you don't want the temperature of your wines, especially your whites, changing much. Thermoelectric units are more apt to fluctuate according to the temperature of the room - which can be very disruptive to your wine. Zones or temperature zones are areas within a wine cooler that can be controlled by a thermostat. 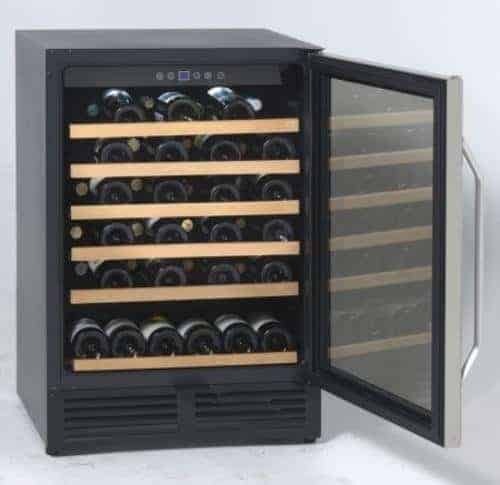 A dual zone wine cooler will generally have two doors and can be used for storing multiple types of wines or for storing other types of beverages, like sodas and juices. For most people, a single zone wine chiller is enough. Avanti has been producing a range of appliances for nearly 40 years. In addition to wine coolers, they make commercial and residential laundry and kitchen machines like ranges, mini kitchens, refrigerators and freezers. 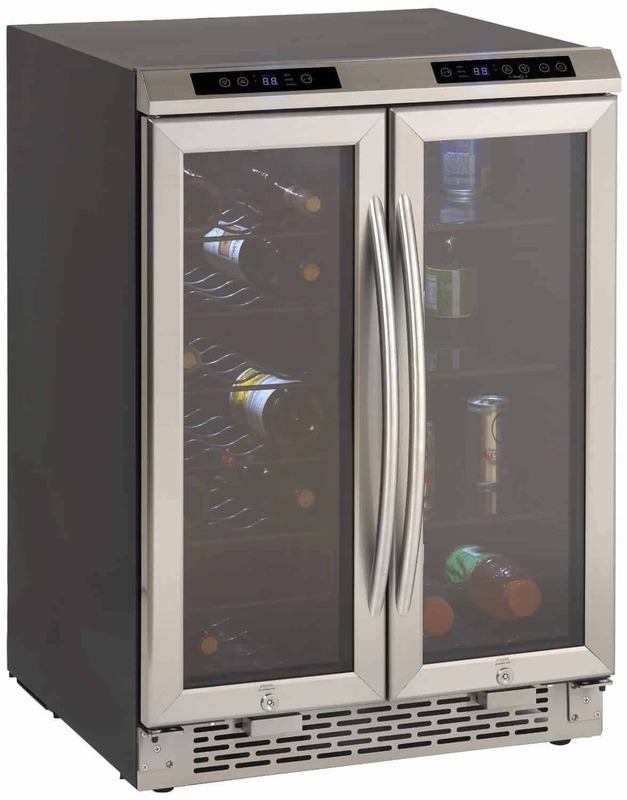 Avanti specializes, and is known for, under the counter fridges for small spaces and mini kitchens but they provide many models of single- and dual-zone wine fridges that are available through Amazon. Summary: Avanti offers a wide range of fridges from those geared toward a casual drinker to those with many bottles kept at length. Both the lower quantity offers and the higher quantity have models that receive rave reviews and those that receive poor reviews. In order to get our overall quality score we looked at each review and weighted by the number of total reviewers of a specific model and found that overall, Avanti offers high quality products. And, what's even better, they offer them at both ends of the spectrum with their 12, 149, and 169 bottle capacity models coming in the highest. The prices of these coolers are reasonable and the products that do well have been highly rated - use those models as your starting point. Compression Cooling - We prefer wine fridges that are able to cool to lower temperatures and that are more stable even in warmer ambient temperatures. That's why we like that Avanti mostly produces wine coolers with a compressor that handles cooling rather than thermoelectric models. The noise difference isn't enough to make us move to thermoelectric and in the long wrong a unit with a compressor is going to be more energy efficient and therefore economical. The Look - These fridges are sleek, combine different aesthetic elements and will look great in any setting. While looks aren't our first concern, it is important in an item like this that can become the centerpiece of a room. Choice - Avanti offers coolers that fit in the corner of a small apartment and hold 12 bottles. And they offer coolers that are able to hold well over 100 bottles. Both ends of the spectrum are popular with a variety of drinkers. Not Enough Models Use UV Glass - If we're going to invest in a wine fridge and the wine to put in it, we want to make sure that that wine is protected not just from temperatures that are too high or that fluctuate, but also from harmful UV rays. 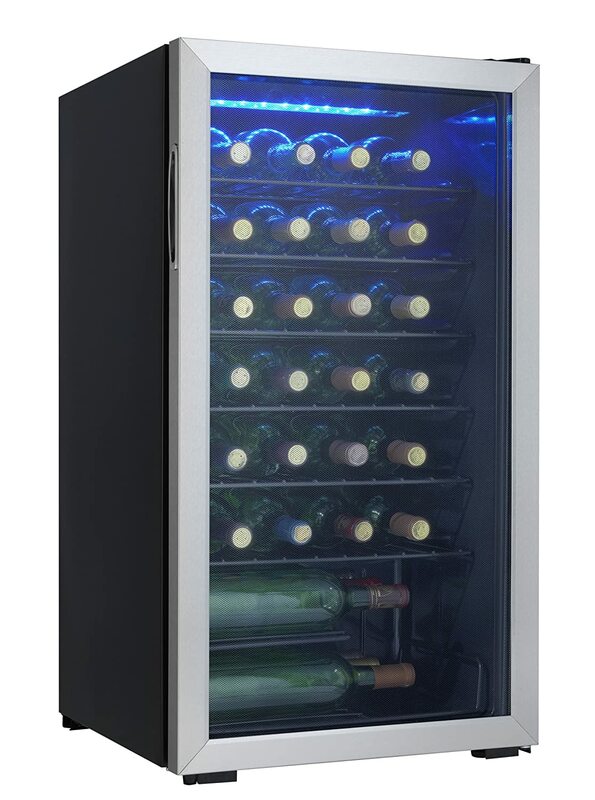 In our opinion, all wine fridges should have UV blocking glass but especially in a higher end product like Avanti. Month 13 - Several reviews mention that there is only a one year warranty after which the fridges seem to malfunction. While not enough to make anyone reasonable believe that there is a 366 day conspiracy, it is frustrating to not be able to have the machine fixed after a year. Many repair people are not comfortable working on wine fridges. Extended warranties cannot be purchased on these wine coolers. Inconsistent Reviews - Some reviews have 200+ and rave. Others have a handful and rant. It's hard to get a good idea of what, exactly, to expect although it appears that the overall feeling is one of satisfaction. When considering be sure to trust the models with more reviews and always discount the best and worst review for the best sense. 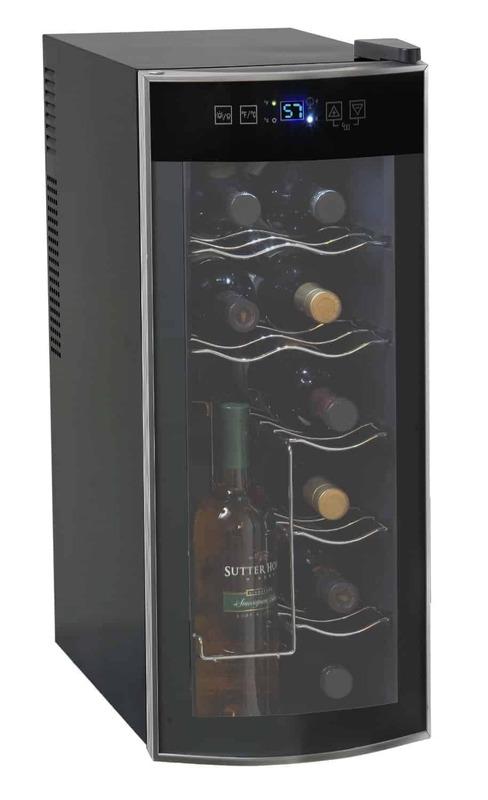 Whether you have a large collection that you're growing or a small collection you like to serve properly, Avanti has a wine cooler for you. We'd like to see them move toward providing UV glass in all models and offering an extended warranty, but other than that, we find that they are a quality, variety brand that will give you a good experience for the cost.